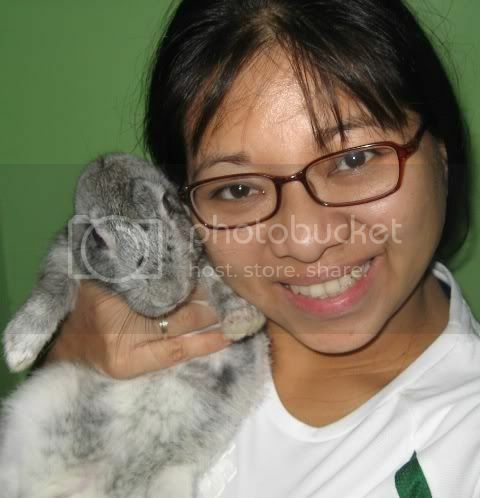 Found this picture of Ramiele Malubay at Photo Bucket. It's the same one they have at People.com. I didn't see her sing in the Idol audition and qualifying rounds so I did some searching at You Tube. I think she has the chance but she also has some tough competition. It seems that some of the AI Season 7 Contestants are not fresh talents. One girl - Carly Smithson - had a contract with a major recording company before but the album didn't fare well only selling about 300 copies. Another guy - Robbie Carrico - used to be in a band - Boyz N Girlz Unite! The said band was a front act in one of Britney Spear's concert in 1999. There are a few more but I don't know much about them. 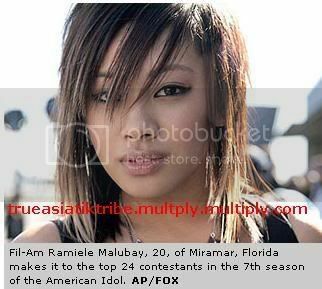 Let's just hope that our very own 'Ramiele Malubay' makes it at least to the top 10. I like this little girl I watched her when she performed on her audition, I hope she makes it, let' vote for her ha. I definitely would. yes sis! I hope she wins! i've been watching american idol since she was picked. btw sis pls add my other blog ha here's the url: http://edsnanquil.com thank u so much! filipinos are proud of her..